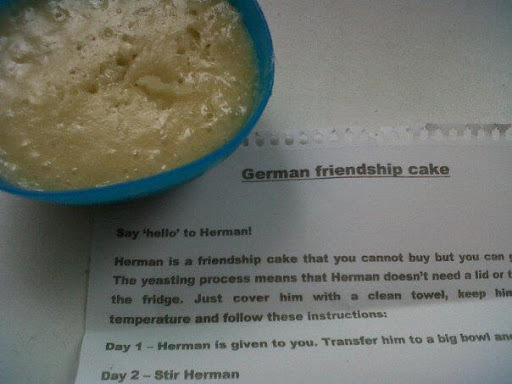 Come & Meet Herman – The German Friendship Cake! Please let me introduce you to……. No I have not gone mad, I completely 100% reassure you that whilst I am typing this I am sane, honestly! 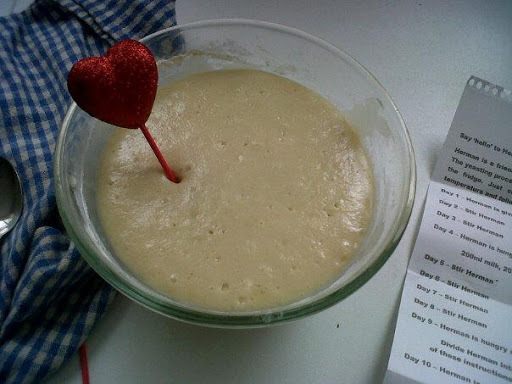 Herman the German friendship cake is a sourdough cake recipe which is several decades old. Obviously the mix isn’t decades old but you get the idea! It passes through circles of friends and family similar to a chain letter. Herman arrived in his little bowl and sheet of instructions. Mix everything together and put into a large greased baking tin. 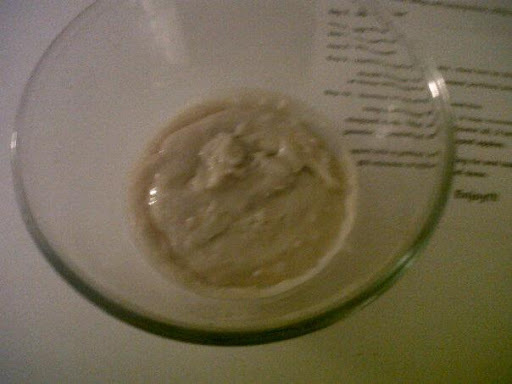 Sprinkle with a quarter of a cup of brown sugar and a quarter of a cup of melted butter. 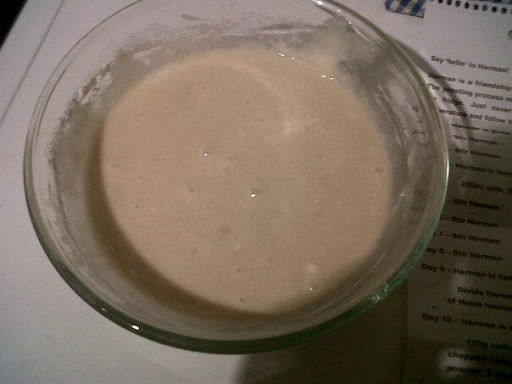 Bake for 45 minutes at 170-180C. 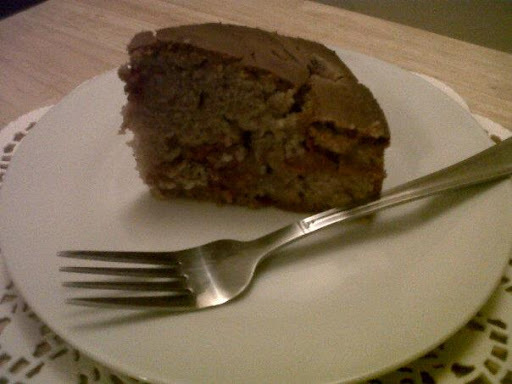 Cake freezes well and is also delicious warm with cream or ice-cream. I took photos of Herman each day to share the progress of him, yes Barry thought I had gone mad (It obviiously was nothing to do with the fact I would say “Morning Herman” at breakfast everyday!) and it caused quite a stir on my Facebook! but it was fun to share the updates and secretly everyone loved hearing of him, I know! Day 9 – Such a proud day to produce little tiny Hermans that I was able to pass on. 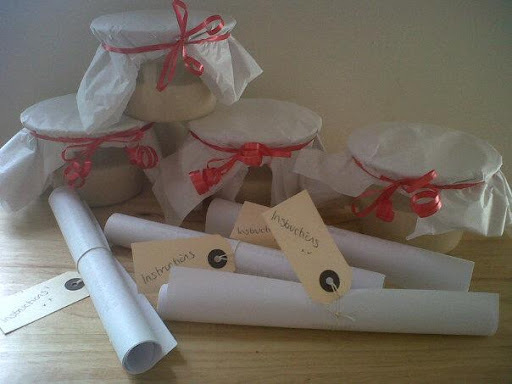 Excitable ladies turned up on the doorstep all ready to receive their own mini Hermans. 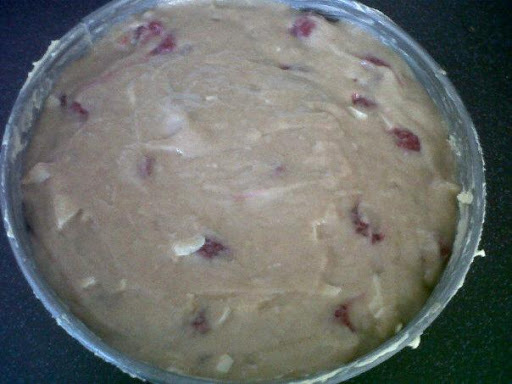 You may notice that there is no raisins, nuts or apple chunks like the recipe states……I changed it a little and instead I added Raspberries and White Chocolate chunks……yum! And boy did he rise to the occasion! he was in the oven for 45 mins and tasted delicious!!!! Ok so 10 days is a long time to make a cake but truthfully I would do it all over again, it was so light and fluffy, and there are so many variations to try! I hope you enjoyed having this brief encounter with Herman! 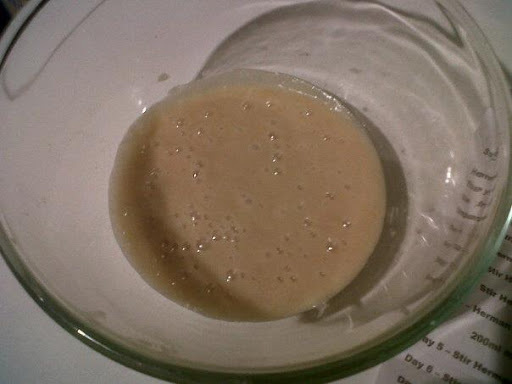 There is lots of Herman info here – including how to start your own, just incase you are interested. Next The endless search for storage solutions!